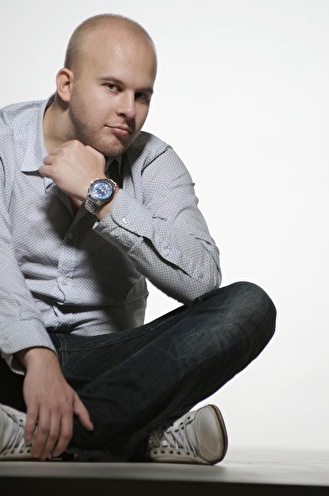 Alexander Popov is the chosen one to represent an ever-growing league of talented Russian producers. Each of the productions leaving his studio, have that special spark. From the summer-spirited 'When The Sun' and the trancy "Lost Language", 'Elegia' to his earlier works of 'Revolution In You' and 'Metropolis'. Alexander Popov has grown into one of EDM's big promises for the future. And that future is now. Currently finalizing his very first artist album, there are big things ahead for both the Russian producer/DJ and ourselves. Alexander discovered a passion for music in his early childhood and eventually found his way into it by following music school. After graduating with honor, he stumbled across a new kind of music. It were the electronic beats of EDM that got his interest. It didn't take long before he would start dj'ing and organizing parties, and stepped things up by creating his own sounds. He was next in line to host a volume of the beloved Trance World series, with a smashingly good 'Trance World Vol.16' as the result. He's remixed the likes of Armin van Buuren, Dash Berlin, Cosmic Gate, and played at massive festivals like Global Gathering, A State Of Trance 600 and Kazantip, to name a few. Things have been great for this artist, but they're about to get even better!